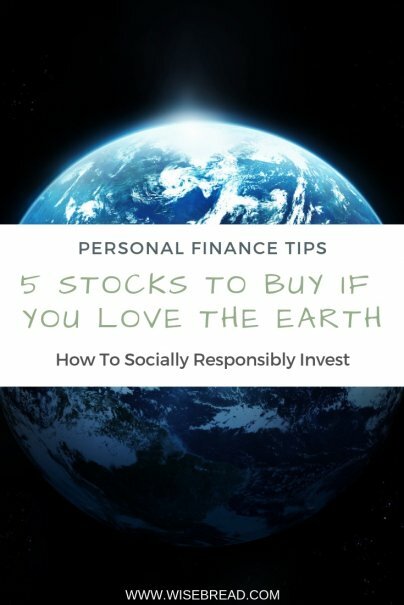 Socially responsible investing (SRI) isn't a new concept, but it's an increasingly popular one in a world focused more on sustainability. The "green" subsection of SRI is environmentally-conscious investing, geared towards investment in companies that promote environmental stewardship. Think clean energy, sustainable resources, infrastructure, waste management, even consulting services. Rolling in green doesn't have to mean a choice between fields or bills. You now can do both, all at once if you prefer. We picked five funds that successfully blend environmentally-conscious investments with performance. Beloved by the environmental community and investors alike, the Pax World Global Environmental Markets Fund focuses on long-term growth in sustainable investing. The fund evaluates financials along with environmental, social, and governance (ESG) analysis on its holdings, carefully balancing a stringent set of criteria to evaluate investments. And it's paid off. The fund has outperformed global market benchmarks, has an average five-year return of 10.77 percent, and Morningstar gives it a three-star rating. Plus, it's fossil-fuel free. Guggenheim Investments' Guggenheim Solar ETF (with a very easy to remember ticker symbol) is an exchange-traded fund perfect for the investor who loves solar energy. The fund invests in solar energy-related segments across the industry, from supplies and lighting to raw materials and installers. Pattern Energy Group focuses on independent energy producers, with a specialization in wind and solar renewable energy. Pattern's newest wind farm is an impressive 150 acres, and it's not just the size that's impressive. The wind farm will generate 100 percent of the electricity for Amazon Web Services. PEGI outperformed its peers over a three year period. A lackluster 2014 for the independent energy sector overall hurt performance stats against the S&P 500, but the gains since then are impressive, and PEGI's potential for future earnings looks bright. Here's an ETF that focuses on industry leaders with small carbon footprints. ETHO is "the first diversified index ETF that avoids fossil fuel companies and the first public investment product to select equities based primarily on an assessment of an equity's carbon footprint." Etho Capital, the fund manager, also provides the Etho Climate Leadership Index [ECLI], a performance benchmark for companies with the smallest carbon footprints in their industries. Ameresco focuses on asset sustainability and renewable energy resources, providing performance contracting and consulting. Helping government entities reduce energy bills helps in part to pay for the work, and they're growing rapidly. Ameresco surged past earnings predictions for 2016, and the company plans to build on that in 2017. A growing demand for services should help them on their path.